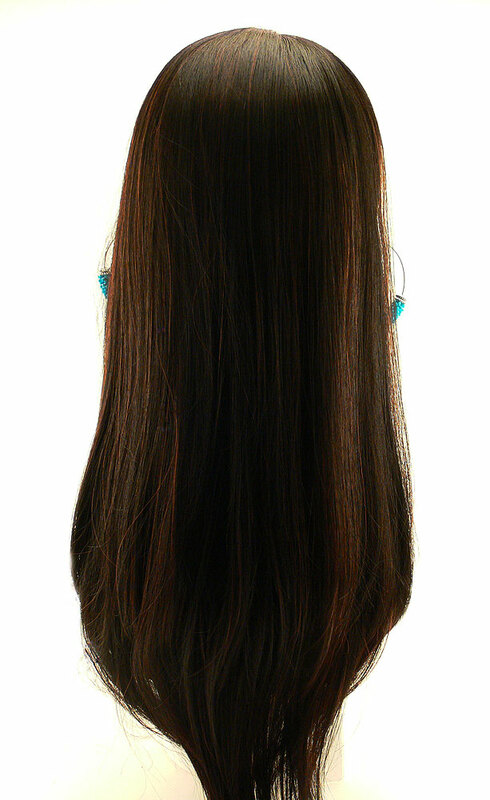 Beautifully styled lace front wig with long, straight silky layers. 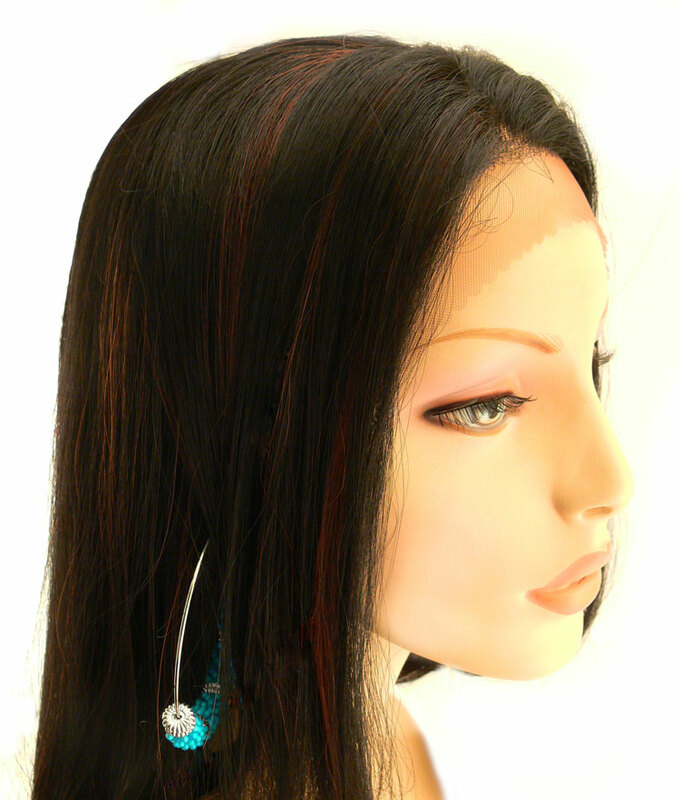 Pictured in natural black with auburn highlights. Lace frames your face from ear to ear.